Blog I just got ENGAGED! Now what? First of all, congratulations! What an exciting time to think and dream about your big day! We know there are a lot of things to consider, so we thought we would give you some pointers from a floral design standpoint. We get this question a lot. The truth is, wedding flowers are similar to lots of other items in your life with varying price levels. The question “How much are wedding flowers” is like asking “How much is a car?” Your flower costs depend on what your needs and wants are for your wedding day. On average, you can expect to spend 10-14% of your entire wedding budget on flowers and decorations for the wedding party, ceremony, and reception. We cannot stress enough how important setting an overall wedding budget is!!! Sit down as soon as you can with those who are involved and discuss what budget is realistic. This will help in every category of spending for your wedding–guaranteed! What is a full-service florist? A full-service florist is one that executes your wedding design from start to finish including meetings, emails/calls, the actual flower designing, and the wedding day set-up and delivery. Please note that some florists may have lower costs, but this could mean that they also have fewer services and that the person you place the order with is not the same person making your arrangements or delivering them. Here at Sisters Floral Design Studio, we take pride in our personal and custom services for each of our clients. Our design team meets with you to discuss blooms types and shades of colors, physically puts your designs together, AND will be there on the day of your wedding to make sure that everything is as it should be. We wouldn’t have it any other way! What flowers are in season for my wedding? Many flower types have become increasingly more available due to their popularity. For instance, peonies, tulips, and dahlias used to have more finite growing seasons. Now, all of those blooms can be ordered outside of what their typical seasons once were. 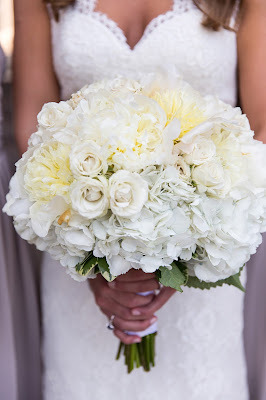 At Sisters, we like to get a feel for the types of flowers you are looking for and suggest what best meets your needs- whether it be color shades, texture, overall look, or cost-effective choice. We always try to give a bride her first choice bloom, but when it’s not possible, we always have an alternative ready and waiting! When should I make an appointment with my florist? Generally, you will need to have chosen your wedding date, ceremony and reception location, and selected a color scheme before contacting a wedding florist. Sisters Floral Design Studio is glad to meet for a complimentary custom design presentation based on all your floral needs. If you are ready to get the design process started, email us (designteam@sistersflowers.net) or give us a call (314-821-0076). We are excited to start talking flowers with you!